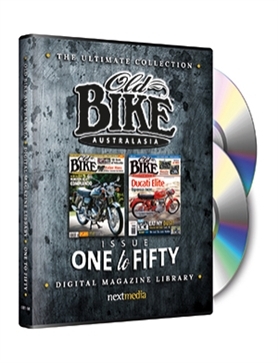 The Old Bike Ultimate Collection DVD - Issue One to Fifty - MyMagazines - Subscribe online and save. 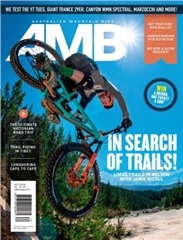 Enjoy 50 digital magazine issues from Old Bike Australasia, starting with Issue 1 from 2006 through to Issue 50 in 2015 - a must have for collectors and new readers of Australia’s most popular classic bike magazine. 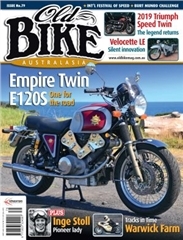 For over 10 years OBA has produced a wide range of feature articles on some of Australia’s best classic motorcycles. Each issue includes stories on famous bikes, forgotten circuits, personality profiles, club and event listings and classic and historic race reports. 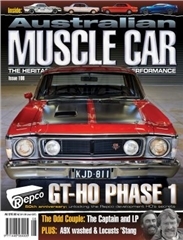 Price includes P&H within Australia. 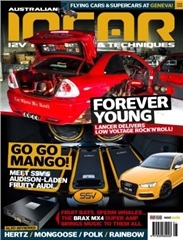 Available while stocks last, please allow 4 to 6 weeks for delivery. SYSTEM REQUIREMENTS: A computer with a DVD-ROM drive is required to view the back issues contained on the DVDs. At least 2GB of RAM recommended. Issues will be accessed and read via the users web browser.